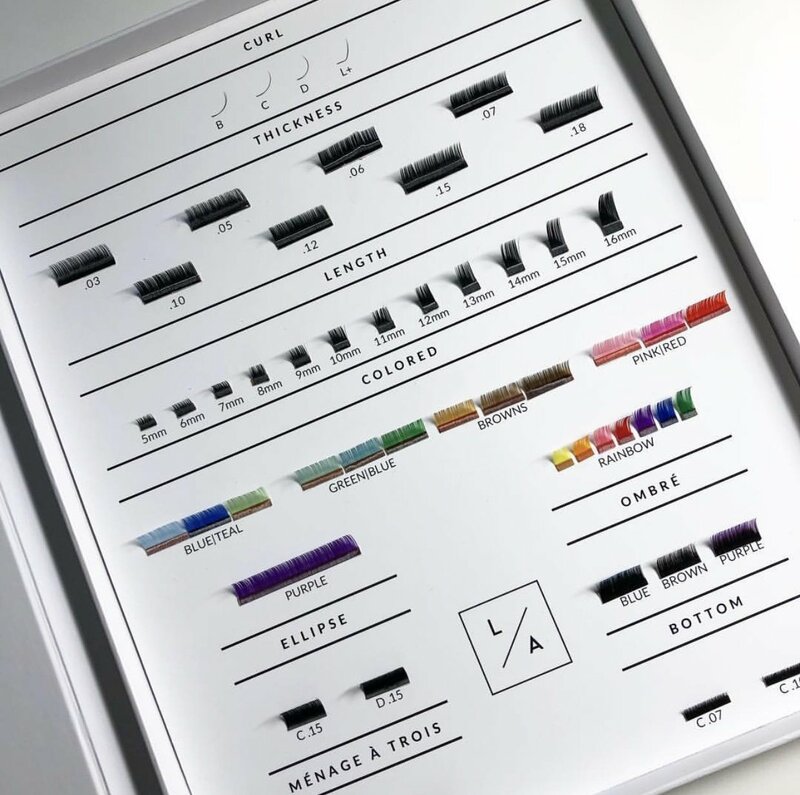 It doesn't matter what types of lashes your clients might have, even those with naturally curly lashes are still looking for ways to up the va-va-voom quotient. When you're working on clients with coarse, curly natural lashes, it's essential to use the right tools, position the client correctly, and apply the best lashes to give them a naturally fuller look. Read on for ways to identify coarse, curly lashes, and how to effectively apply lash extensions to these beauties every time. Coarse Lashes: How Do They Differ from Other Lash Types? Coarse, curly lashes are beautiful because they are natural, but they can also pose some challenges with lash extension application. These types of lashes have a naturally dramatic lift in the lash curl, but they also tend to have errant curls going in different directions. Compared to other kinds of natural lashes, like down-facing, straight or fine, curly lashes require a different kind of attention. To match natural lashes that curl upward slightly, it's extremely important to use CC or C curl lash extensions to avoid mismatching the curl of the client's natural lashes and extensions. For naturally coarse and curly lashes, you will want to use a softer curl so that as the natural lash grows out, the extension doesn't end up curling back into their eye. When you're applying them, use these three techniques for flawless application. As we've previously covered, one size does not fit all when it comes to applying lashes to your clients. The Size Matters Isolation and Measurement Lash Tweezers help you evaluate natural lash length, with a built-in ruler to accurately assess the length of your client's lashes. Use eye pads with a large surface area, like the Matte Gel Eye Pads, to keep bottom lashes out of the way while you are isolating the natural lashes you're applying extensions to. Take care of your tweezers with these lash extension tweezer care tips. It's easy to miss a small amount of the client's curly lashes if you don't have . your client in the right position. The client should be positioned so that you can see the base of the lash curl clearly. 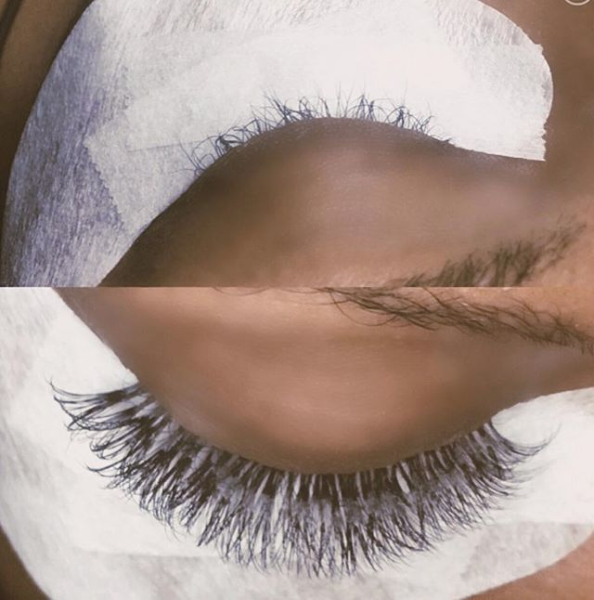 Remember that you are in control of the service as the lash artist, so if you need to tilt your client's head slightly to access a hidden lash, you have full freedom to do so, as long as you have a gentle touch. As a last resort, you can use a heated eyelash curler to straighten the client's lashes prior to extension placement. Be aware that too much heat can cause lash damage. Remind your clients they should never try to apply heat to their lashes themselves or to their extensions. See more lash extension frequently asked questions here. No two clients' lashes will be the same and, on many clients, no two lashes will be the same either. Carrying a wide array of lash extensions enables you to accommodate clients with different lengths, curls, and thicknesses in natural lashes. 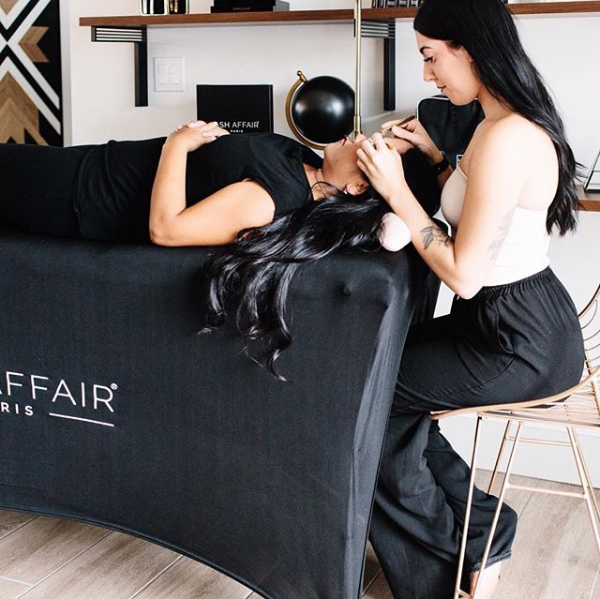 Lash Affair's lash extension collection includes lashes in a variety of curls, thicknesses, and lengths, so you can customize lash looks for every client. You can use the Lash Consultation Lookbook to show your clients the enormous selection of lash extensions and recommend the right types for the look they're going for.